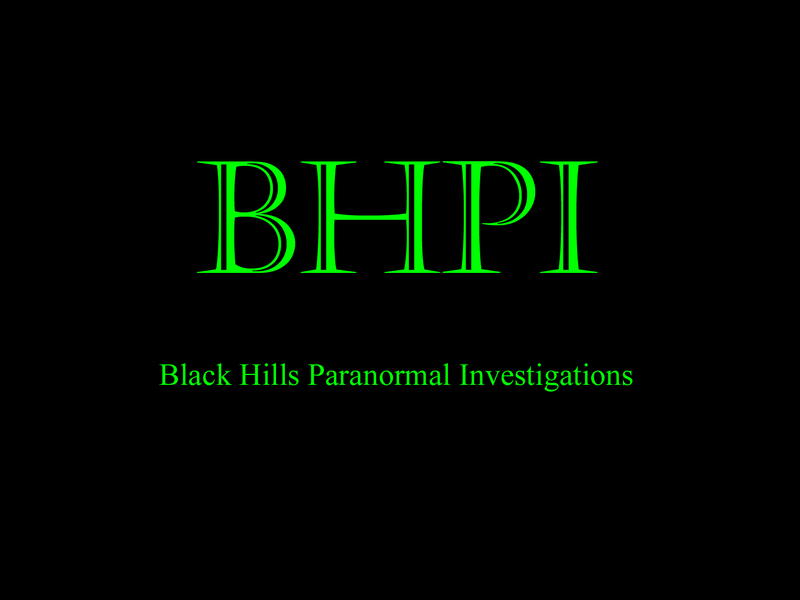 We are Black Hills Paranormal Investigations. We are commited to researching and investigating any paranormal activity in the Black Hills and the surrounding area. The investigations we conduct are thorough and scientific. We base our investigations on any evidence we capture from the equipment we use. We believe that about 80% of paranormal reports are events that can be dismissed as natural household occurrences. Be sure to visit the official BHPI Message Board! Also be sure to check our the official BHPI Myspace! If you're a member of Myspace, add us as a friend! We are a small group of very dedicated people. We do not accept any payment for our investigations nor do we do it for the notoriety. We do it for various personal reasons. In our "meet our team" section, we give insight into why we are so interested. Further in the site you will see some of the locations we have been lucky to visit. If you have a site that you wish us to consider please feel free to give us a call.